Posted on November 30, 2018 by Andy Higgs in Home. Sweden is an outstanding place to visit at any time of the year, but it’s the winter that really brings out the best experiences that the country has to offer. Here’s a quick rundown of the top Swedish destinations to consider if you want to book a cold weather getaway. One of the main reasons that travellers flock to this part of Sweden each winter is to stay in the Ice Hotel. This amazing structure is put together using blocks of crystal-clear river water, and the most impressive thing about it is that it has to be rebuilt from scratch every year. That means the design is constantly changing and returning visitors will not recognise the place. While visiting Jukkasjärvi you can also enjoy tours of the snowy landscape in the day, then stick around to catch the glorious aurora borealis at night. The good news for people who feel the cold is that there are ‘warm’ rooms available, complete with Wi-Fi, so you can snuggle up and play slots on Casumobonus.se if you don’t fancy facing the brisk conditions outside. 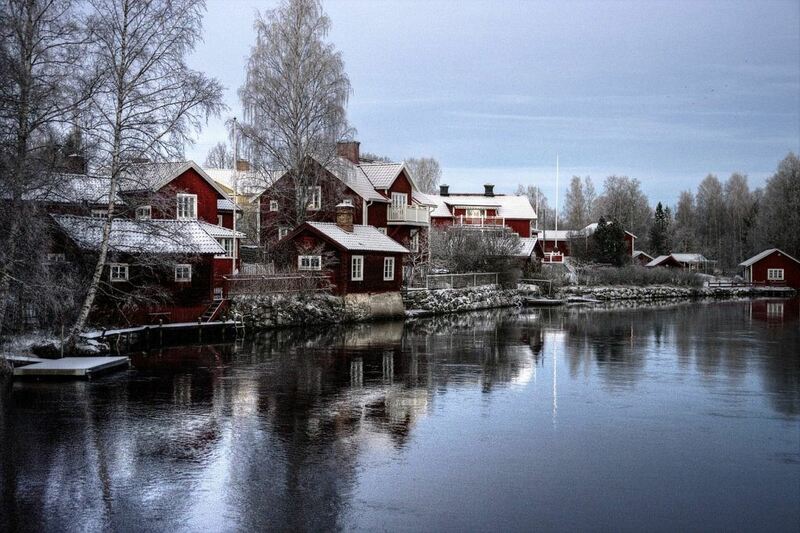 Perched in a picturesque and relatively isolated part of northern Sweden, within the chilly boundary of the Arctic Circle, Jokkmokk is best known for its historic winter market which brings tens of thousands of visitors with it each year. You’ll have to wait for February to see the market, but it’s definitely worth it to experience the best of Swedish cuisine, culture and camaraderie all in one place. It consists not only of stalls and attractions, but also exhibits, live concerts and a host of other entertaining activities. Running consecutively for over 400 years without interruption, the market has built a global reputation and so it’s worth booking early if you want to avoid missing out on nearby accommodation. Your natural instinct when travelling to Sweden in the winter might be to head straight for the more remote areas to get the ‘authentic’ experiences that the country has to offer. But the capital of Stockholm plays just as much a role in defining this season as the snow-clad forests and ski resorts. Once you’ve strolled the streets and admired the amazing architecture, as well as taking in some of the inviting eateries and bars filled with beautiful people, it’s worth heading to Skansen. This museum is open most months of the year and is almost entirely outdoors, with actors and exhibits giving you a great idea of how life and culture in Sweden have evolved over the centuries. The museum is fun for adults and kids alike, with plenty of opportunities to eat and drink also available. While it sits a long way from the most populated parts of Sweden, Abisko is surprisingly well connected in terms of transport and so is a popular destination for people looking to see the wilder side of the country during the winter. With its own national park and mountain range, Abisko offers something for everyone. You can jump on a dog-drawn sled and fly across the frozen landscape at a pace. You can get up close and personal with reindeers to see these majestic animals in their natural habitat. You can explore the fjords and blast along on snowmobiles to get a much needed hit of adrenaline to keep out the cold. Since Sweden has a lot of attractions and activities which really come alive during the winter, it is one of the many European destinations that can actually become more expensive to visit at this time. Planning ahead and preparing for the high prices when you arrive will be essential.